Does Doctor Who promote transgender? Many Whovians are asking questions. What is the deal? In 1966, the first Doctor Who regenerated. The actor, played by William Hartnell, had started to play Doctor Who in 1962. By 1966, the actor was having health issues. Since the production company did not want to end the series, they came up with a plausible reason to switch to another actor without having to reboot. They called it regeneration. He transitioned through the metaphysical characteristics of the Gallifreyan race into his next life. It wasn’t death as we know it. It was reincarnation: a new body with the memories of the previous existence but without going through preadolescence. The original principle was that the Doctor, as he is commonly called, had only 12 regenerations. In each case, he became a white British male of various characteristics. Short, tall, dark hair, light hair, it didn’t matter the exact model. They kept the gag running though that he wasn’t allowed to be a ginger. In the end, the British white male was maintained, even if no other principles were. Why? The writers were sampling the waters to determine how far they could push the edge. Tom Baker, the 4th Doctor, hinted at a possible female transition, and the director used it to keep interest in the show. However, it was not done. The Master, Doctor Who’s nemesis, became a woman in “The Doctor Falls.” The General, another Time Lord from “Day of the Doctor,” transitioned from a white British male into a black British female. There have been other Time Lords who were female throughout the series. There were male and female companions. However, the one consistency has always been Doctor Who as a white British male, a cornerstone of expectation. But with the present announcement that the 13th Doctor (Really the 14th) will be Jodie Whittaker, all that is about to change. Is this a political agenda covered by the facade of Sci-Fi? If it is, it wouldn’t be the first nor shall it be the last. Ursula Le Guin wrote “The Left Hand of Darkness.” It is set in a world where the gender of its inhabitants changes like the seasons. Robert A. Heinlein wrote “I Will Fear No Evil.” A dying rich man has his brain implanted into a female secretary and lives out his fantasies. In the novel “Steel Beach” by John Varley, people can change their gender by mere thought. But is this what Doctor Who is about? For many Whovians, Doctor Who being a British white male is a trademark in an iconic series presented by the BBC. Is the BBC promoting transgender? It appears there could be evidence to the fact. Are they pushing the envelope and removing some the uniqueness to the series? Possibly, though they claim to be staying canon. Will diehard Whovians continue to follow the series? Maybe. In any case, it has created quite a division. The BBC is using the debate for all it is worth. The acceptance of the series over the next season will certainly be the tell. Perhaps those Whovians who refuse to accept it will be replaced by a whole new breed that do. Refuses to go by Doctor Who because he kills to defend his people. Regenerates to remain the 10th doctor but in 11th body. Old Time Lord’s regenerate body. May be considered a freebie. Profilers. Serial killers. The hunt is on. Do serial killers and the FBI fascinate you? Do you like getting inside the minds of killers, love being creeped out, sleeping with your eyes open, and feeling like you’re involved in murder investigations? Then join FBI agent and profiler Brandon Fisher and his team with the Behavioral Analysis Unit in their hunt for serial killers. This is the perfect book series for fans of Criminal Minds, NCIS, Silence of the Lambs, Seven, Dexter, Luther, and True Crime. Read in any order or follow the series from the beginning: Eleven, Silent Graves, The Defenseless, Blue Baby, Violated, Remnants. Grab your copy of the first book, Eleven, for FREE on Kindle and Nook! CAROLYN ARNOLD is an international best-selling and award-winning author, as well as a speaker, teacher, and inspirational mentor. 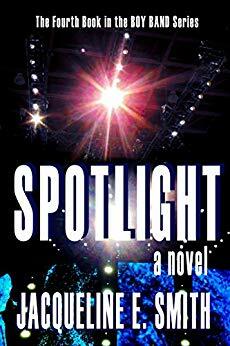 She has four continuing fiction series—Detective Madison Knight, Brandon Fisher FBI, McKinley Mysteries, and Matthew Connor Adventures—and has written nearly thirty books. Her genre diversity offers her readers everything from cozy to hard-boiled mysteries, and thrillers to action adventures. 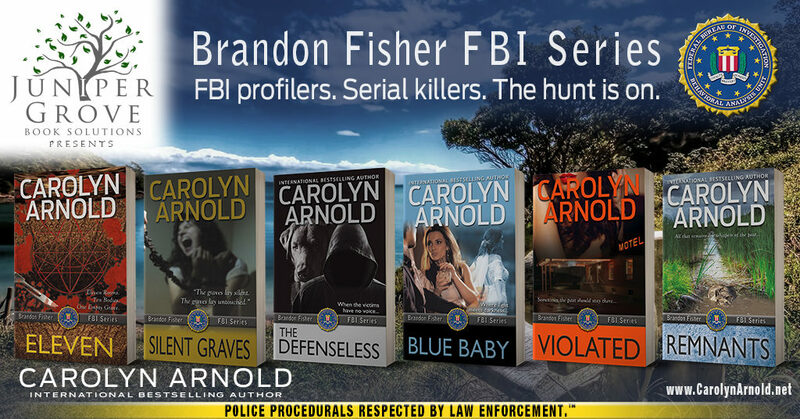 Both her female detective and FBI profiler series have been praised by those in law enforcement as being accurate and entertaining, leading her to adopt the trademark: POLICE PROCEDURALS RESPECTED BY LAW ENFORCEMENT™. Carolyn was born in a small town and enjoys spending time outdoors, but she also loves the lights of a big city. Grounded by her roots and lifted by her dreams, her overactive imagination insists that she tell her stories. Her intention is to touch the hearts of millions with her books, to entertain, inspire, and empower. She currently lives just west of Toronto with her husband and beagle and is a member of Crime Writers of Canada. To see other Juniper Grove author tour pages, click here. The basics are simple. All it takes is commitment. What basics, and who is being committed? No asylums for me! Isn't that the first question we ask? When faced with something new, people tend to try and explain it, so the maximum number of people will understand, accept, and go along with the hypothesis. However, there are those rare few that back up, look you in the eye, and say, "What are you talking about?" A fellow author asked a question. I concurred it sounded like fun. If you read to the end of the article, let me know if you agree. Sales pitch? No. Review? Could be. Can it answer the ultimate question, the question billion of years have waited for? The verbalization that the great Douglas Adams, himself, put forth in the Hitchhiker's Guide to the Galaxy? Maybe. Only one thing is for certain. If you choose, it can change your life, along with the number 42, of course. Oh, time to get to the point. Many years ago, I was a university student. No one's giving the exact year. Yes, I went to a real live university. They called it that because the education plan laid out a broad range of classes. These were designed to help you not only specialize but also aid you to better focus on practical uses for your degree. It was great. I loved it! However, with a lack of physical education, I soon found that I needed more than only head knowledge to stay in shape. I graduated, married, and went to work. For about ten years, I maintained my Kenpo Karate training. But as work became more time-consuming, I gradually tapered off and one day woke up 35 pounds heavier. I didn't look bad. However, I had noticed I felt more plump than before. Looking at my past pictures was somewhat of a shock. My blood pressure measured a minimum of 131/82. It wasn't bad. It just was not good. I didn't like what I had become though I was still physically able to do about anything. Stress, work, and family on top of an unhealthy lifestyle had final started to take its toll. Then my dad died, suddenly and unexpectedly, from a pulmonary embolism. The event woke me up. You and I are not guaranteed one moment to the next. If there is something we need to do, we should do it now. But you can't do it if your body is not ready to meet the demand. If I was going to live, I wanted to give myself the best chance to survive. And so, I began to change my life for the better. I already knew the process worked. I had created my own program and saw it through in the past. But if you would like a step up, a jump start, a way to get ahead more quickly, meet Ace Antonio Hall. Ace started in a similar way. Though he was healthy at the beginning, time dragged him down. Realizing he did not have to live that way, the man turned his whole life around. 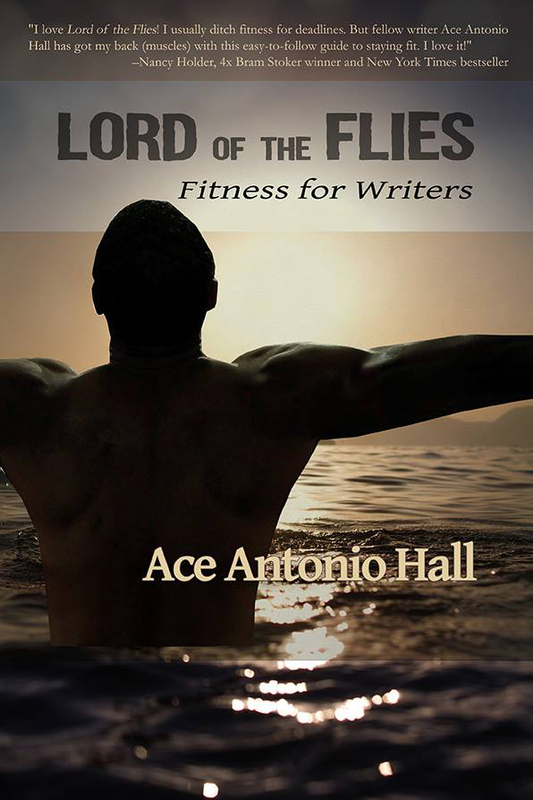 Mr. Hall shares with the reader not only how but why it is important to stay fit. As the book points out, so many of us get caught up in the day to day living that we forget to keep ourselves in good physical condition. A healthy body leads to a greater enjoyment of life. This book tells a story of one man’s journey to renew what he had lost. It was done through persistence with certain key exercises that helped build muscle groups he desired. It gives great tips to any person who wishes to begin the basics of moving into a healthier you. And in truth, I can agree with his findings. Simply exercising about thirty minutes in the morning and at night is sufficient to bring down weight, drop blood pressure, and revitalize the human physique. Of course, there is a little more to it. The old saying you are what you eat is paramount. So is the idea of finding that time when you can let go of life's everyday events and just be. The rewards are astounding. Muscles and joints become stronger than before. There is a boost of positive thoughts. Troubles do not enter the mind as easily. The psychological benefits are just as important as the physical. For anyone, this is a matter of life and death. Where did I hear about this book? You can thank Jaidis Shaw for that. As a fellow writer, she asked if anyone would like to take a look at Lord of the Flies: Fitness for Writers and become part of the magic. So, if the idea intrigues you and if you have wondered what it would be like to feel better about yourself, dive in. Pick up a copy. It's a short read. You’ve nothing to lose and only benefits to gain. 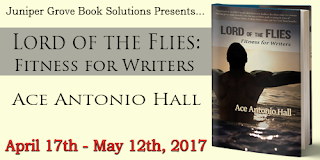 If you want to find out more about this event, visit http://junipergrovebooksolutions.com and ask a few questions!